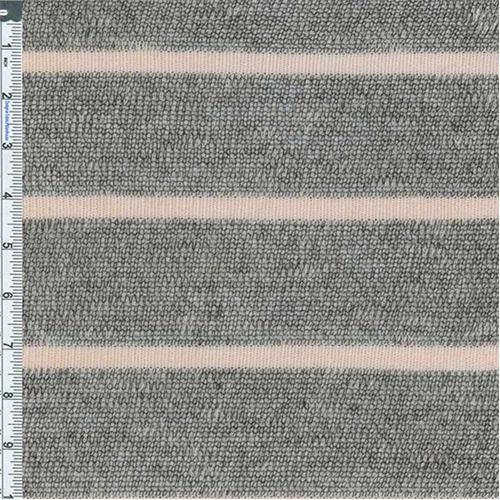 Poly Loose Knit Stripe Fabric By the Yard, Light Beige /Black. See-through whisper lightweight loosely knit stripe, very soft and drapey. Very stretchy widthwise from loose knit structure, stretch does not have good recovery. Suitable for overlay crochet style tops, scarves, wraps.